Andrew Webb-Mitchell’s Zhuhai Classical Children’s Choir is gradually gaining a reputation as one of the outstanding choirs in Asia, performing western classical music to the highest international standards. Last weekend they further enhanced this reputation by singing for Her Royal Highness Princess Anne in the Malaysian capital Kuala Lumpur, flying the flag for Zhuhai as a regional center for artistic and musical excellence. 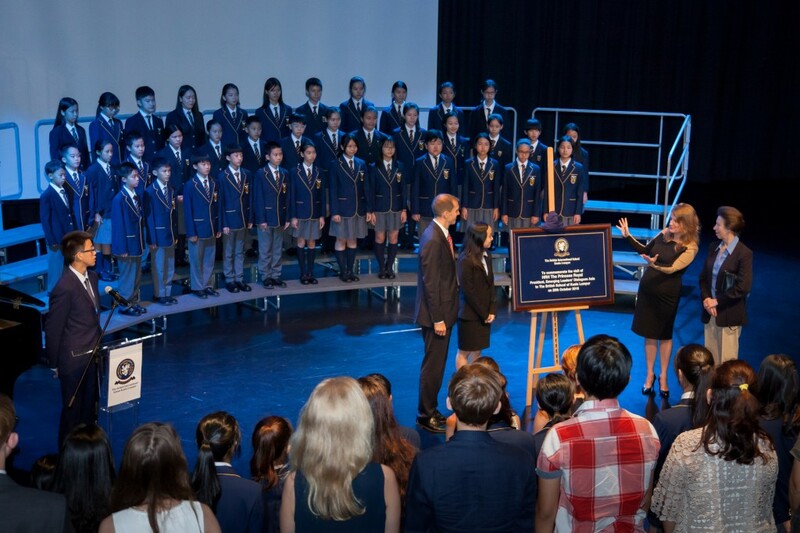 At the invitation of the British Schools Foundation, Music Director Andrew Webb-Mitchell conducted the choir at the closing ceremony of Emerging Leaders’ Dialogues Asia, an international initiative to help identify, encourage and build excellence in leadership. The conference was attended by outstanding delegates from across the world representing prestigious organisations. Princess Anne is the President of Emerging Leaders’ Dialogues Asia and was clearly delighted to hear these talented Chinese children singing classical music with such skill and professionalism. The choir sang works by Britten, Purcell, Franck and Elgar and the performance was warmly received by all. This was the first time the Zhuhai Classical Children’s Choir has sung for British royalty and the children felt honored to do so. It has been an astonishing year for the choir, having already performed with the Israel Philharmonic Orchestra and the Sinfonietta Cracovia; they also made their Macau debut last June. The children now look forward to performing with the Russian National Orchestra at the inaugural concerts for the Zhuhai Opera House in December.